Online dating is becoming more normalized by society as an increasing amount of users find online dating as something which is socially accepted. The 84% of Americans who use dating apps said that they were using online dating apps to look for a romantic relationship, whereas 43% of them stated that they were using dating apps for friendly contacts and only 24% of the users were using it explicitly for sexual encounters. As Statista indicates, both the total number of users and the total revenue of dating apps are rising year after year and are expected to grow further in the next few years. Today, online dating apps users count almost 139 million worldwide whereas in 2023 they are expected to rise to 161 million. As for their revenues, those are expected to reach $ 1,221 during 2019 whereas in 2023 are expected to rise to $1.447 million. Taking the US market as a point of reference, today’s champions in the dating app category are Tinder with 8.2 million active users, PoF with 6.7 million active users, Match with 5.1 million active users, OK Cupid with 5.1 million active users and Grindr with 1.9 million active users. But how dating apps generate revenue? An obvious question raised is how dating apps manage to generate and increase their revenues over the last years since 70% of their users are reluctant to pay for any premium features within their dating apps. 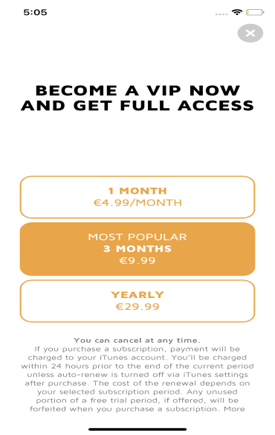 Subscription: is a popular monetization strategy approach among dating apps where users can purchase premium features (e.g. extra likes) on a monthly or yearly basis. 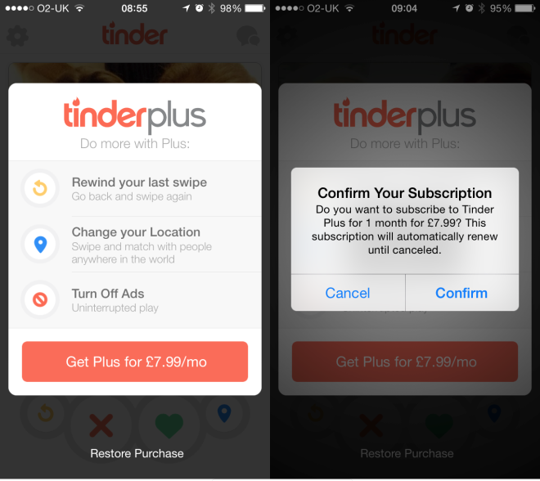 A great implementation of a Subscription model is made by Tinder through their Tinder Plus Edition. Tinder is free for anyone to use, but with their premium subscription plans, users can increase their possibility of matching with more people. For example, with Tinder Plus, you have Unlimited Likes whereas with the free edition there is a certain limit per day. Rewind: Users can undo any swipe they have done. The rewind characteristic let users to re-swipe others, they have accidentally swiped away forever. Passport: Users can change their location and swipe through people who live in different cities. Unlimited likes: Users can use an unlimited number of likes. Additional super likes: Users have five super likes instead of one when they swipe up. It notifies the ‘’super liked’’ users for this special like so users can grab their attention. Tinder’s subscription plan has created new needs to its users while looking for their next date with the features presented above. In 2018, Tinder’s paying user base in 2018 was 4.1 million people achieving revenues of $800 million. 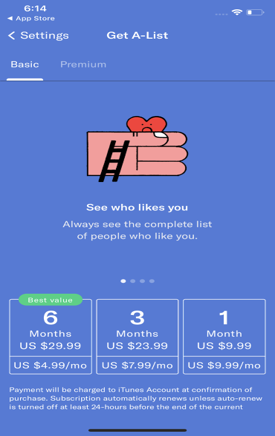 Other dating apps like the OkCupid & Jaumo have adopted a similar approach to Tinder. Users can access the basic version of their dating app and get charged for other premium features. For example, on OkCupid & Jaumo you can purchase boosts to increase your visibility among other users. Some other features that users can access with those subscription options are: removal of ads, see who has read your sent messages, get one boost per day, match to more attractive users. It is evident that dating apps have found different mechanisms in order to prompt their users into a subscription, therefore revealing a monetization opportunity. Other dating apps which cannot rely heavily on in-app purchases like Tinder seek for other alternatives in order to monetize their apps. Some common approaches are the Offerwalls, Rewarded videos & Rewarded surveys. Since the majority of the dating app users are not willing to pay a few dollars per month, for instance, popular dating apps like MeetMe, have implemented in-app advertising in order to have a constant revenue stream. In the case of MeetMe, in order to access some extra features, like the boost of their profile, users have also the option of watching a Rewarded Video instead of subscribing to the premium edition of the app. The Offerwall placement actually shows a free coin section within the app and it is a free alternative to paid features. In the Spotafriend app, users can complete different tasks (e.g. watch a 30-sec video) in exchange of certain points or coins which are placed within the virtual economy of the respective app. Users could redeem those points for boosting their profile within a geographical radius or increase their available likes within a certain time. 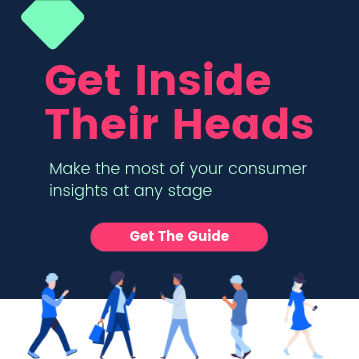 A trending monetization strategy for dating apps since 2018 are rewarded surveys. We have experienced that firsthand at Pollfish. Different dating apps integrate Rewarded Surveys as an extra revenue stream within their dating apps in order to increase their in-app advertising revenues. Rewarded surveys can be placed as an additional entry to a free coins section and provide a way for users to unlock certain features of the dating app. For instance, in the Matcher dating app, users answer a survey and redeem additional swipe-rights for a certain time period (depending on the monetary value of the survey). Usually, the users of dating apps, when they are given with both options, opt-in for a survey instead of a rewarded-video, simply because it rewards them with more likes for instance. On the other side, publishers move towards rewarded surveys since they offer a higher eCPM rate (up to $200 for the US market) and offer a distinctive look which does not harm the experience of the app. In conclusion, dating apps is an interesting app category to look into. Over the last years, they have attracted many app users while their rising revenues are built upon a variety of different monetization models such as In-app Purchases, Rewarded Videos Offerwalls and Rewarded Surveys. More and more models appear to capitalize in this rising category and turn dating into a profitable, sustainable business in the world of mobile apps.